PURR-MATE CLUB: Last week to join! While they can have a reputation for being aloof and independent, many cat owners know that when you need cheering up, our cats are there for us. Anytime of the year in rain, hail or shine, cats are there for smooches, cuddles or to just to sit next to us for a little company. This month we launched the Purr-Mate Club, an exclusive club for future cat owners to join these school holidays. With less than a week to go before the club closes on October 4, we wanted to introduce you to Cricket and Nacho, sisters from our Campaspe Shelter looking to joining the Purr-Mate Club these school holidays. Two year-old domestic short haired cat Cricket is a loving young lady who enjoys spending time in the company of her family. She is a friendly cat with a sweet and gentle nature who loves adoration from her nearest and dearest. A quiet cat with good cat manners, Cricket is looking for a home where she can spend her leisure time near her new family. 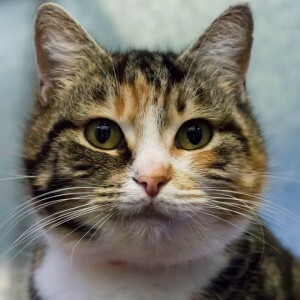 Always happy to see people, Cricket would be well suited to any family looking to open their heart and their home to this well-mannered tabby. Just like her sister, two year-old Nacho is sweet natured young girl who enjoys spending time with her nearest and dearest. 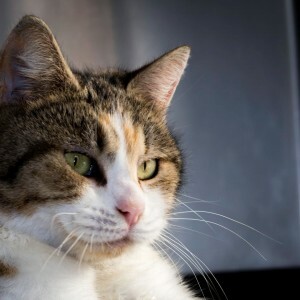 A smoochy cat with a heart of gold, she is looking for a home where she can spend her days lounging in the sun or curled up on the couch with you at the end of a busy day. An ideal companion for any family, Nacho is a friendly girl who really enjoys her people and the love and affection that comes from being a part of the family. Cricket and Nacho are waiting to meet you in the fur at our Campaspe Shelter at 520 Mackenzie Road, Echuca! Adopt a cat or kitten who has been available for adoption for more than 30 days from September 19 to October 4 and have your adoption fees waived. There is also 50 percent off the adoption fee of all other cats and kittens. Adopt:View our terrific range of cats and kittens at dogshome.com. Those in the Purr-Mate Club will be marked on their profile, all others are half price at $47.50. Visit you nearest shelter to meet them in person – our staff are keen to find your perfect match! Each cat comes fully health checked, desexed, microchipped, vaccinated and wormed, all costing in excess of $300 per adoption candidate. Foster:The Home is looking for foster carers to care for cats and kittens for an average of two to four weeks. This is a tremendous way to give a cat time out in a normal home environment, while creating vital space at our shelters. All expenses are covered and successful applicants will be notified within two weeks of applying. For more information visit our foster care page. Advocate:If you cannot adopt, why not advocate for a cat currently seeking a home? Share adoption candidate profiles via your Facebook page, email or via good ol’ word of mouth!